Check out this gorgeous aromatherapy diffuser by Cavir. Enjoy the elegant forest scene with 7 LED Lights that automatically change colours creating a unique atmosphere. This beautiful diffuser not only looks great with its unique metal design but when used with essential oils it will help to boost immunity, promote healthier skin, enhance moods, improve energy and will eliminate dust, germs and allergens. A great addition to your daily health routine. Aromatherapy provides many benefits for your mental and physical health. Some oils will make you more energized, some oils will help you relax and many are able to target certain ailments. Whatever your needs are this diffuser is sure to please. The Cavir, 100 ml, Ultrasonic Essential Oil Diffuser would be great for absolutely anyone. It is easy to use and will make a beautiful addition to your décor. One customer’s review indicated that this product was too loud. A small gurgling noise is expected from any diffuser. I actually don’t mind the relaxing sound of gurgling water, it can be quite peaceful. Cavir states that their diffuser is very quiet. Aromatherapy is an alternative and complementary medicine and provides a ton of benefits. If you are intending to purchase a diffuser to improve your overall health and you don’t want a standard “run of the mill” product this may be the diffuser for you. It is absolutely beautiful! Using a diffuser is the safest and easiest way to enjoy the benefits of your favorite essential oils. 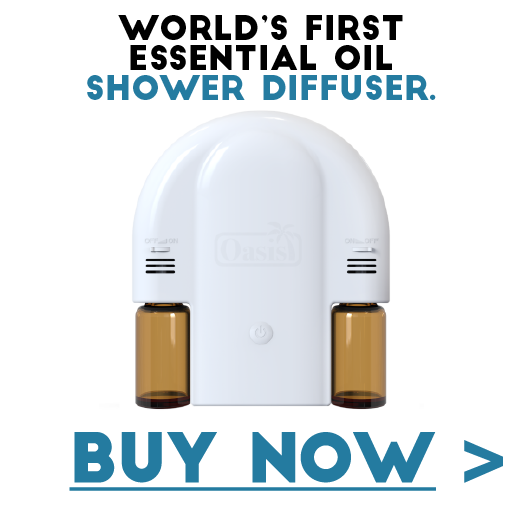 If you don’t currently own a diffuser then this item would be a reasonable choice, the price is great and it has received many positive reviews. There are many, many diffusers on the market but I don’t think I have seen one as unique and pleasing to the eye as this one. It would look great in any room. With a combination of style, function and design, this Aromatherapy Essential Oil Diffuser would make a thoughtful and handy present, one that everyone will benefit from. This diffuser is so pretty, the metal design is so cool looking and the colours make it even better! Use it every night, works great! Very easy to set up. Quality material, good weight and center of gravity, so it is not easily knocked over. Ambient light is perfect and the sound is quiet. I am so happy with my purchase. I hope this review was helpful. Take good care and stay happy and healthy!